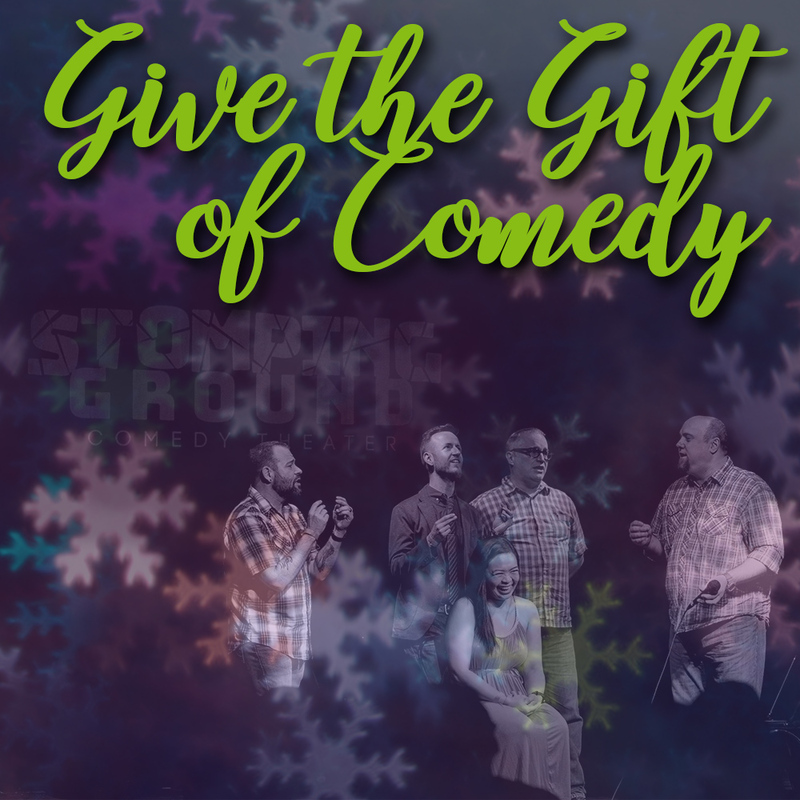 Add some extra Ha!’s as you dash through the snow in your one-horse, open sleigh this holiday season with a gift of comedy classes to someone special in your life. Unlimited available	 Improv $250.00 This certificate is good for one 8-week comedy course taught at Stomping Ground Comedy Theater. The purchaser or recipient must contact trainingcenter@stompinggroundcomedy.org no later than one week prior to the close of an enrollment period to redeem this certificate. The certificate value is $250 and is valid for one year from purchase date. Unlimited available	 Sketch $250.00 This certificate is good for one 8-week comedy course taught at Stomping Ground Comedy Theater. The purchaser or recipient must contact trainingcenter@stompinggroundcomedy.org no later than one week prior to the close of an enrollment period to redeem this certificate. The certificate value is $250 and is valid for one year from purchase date. Unlimited available	 Stand Up $250.00 This certificate is good for one 8-week comedy course taught at Stomping Ground Comedy Theater. The purchaser or recipient must contact trainingcenter@stompinggroundcomedy.org no later than one week prior to the close of an enrollment period to redeem this certificate. The certificate value is $250 and is valid for one year from purchase date.. Unlimited available	 Songprov $200.00 This certificate is good for one 4-week comedy course taught at Stomping Ground Comedy Theater. The purchaser or recipient must contact trainingcenter@stompinggroundcomedy.org no later than one week prior to the close of an enrollment period to redeem this certificate. The certificate value is $200 and is valid for one year from purchase date. Unlimited available	 Improv for Life $320.00 This certificate is good for one 7-week Improv for Life course taught at Stomping Ground Comedy Theater. The purchaser or recipient must contact andrea@stompinggroundcomedy.org no later than one week prior to the close of an enrollment period to redeem this certificate. The certificate value is $320 and is valid for one year from purchase date.